67th POA Annual Convention - Orthopaedic International, Inc.
MANDALUYONG CITY - The 67th POA Annual Convention was held at EDSA Shangri-la Hotel last November 16-19. The theme of this year's event was "Fusing Knowledge and Technology to Address Orthopaedic Challenges". Orthopaedic International, Inc. exhibited four of its excellent products: Prime Cemented Hip System, Axis Knee System, Distalock, and Stratus Fortis Percutaneous Pedicle Screw System. The Gustilo Ipad Medical Records and Waston Medical were also present in the OII hospitality suite booth exhibit. During the event, OII introduced its new products and the updates on each systems. OII also distributed passport booklets that allows the surgeons to have one raffle ticket. 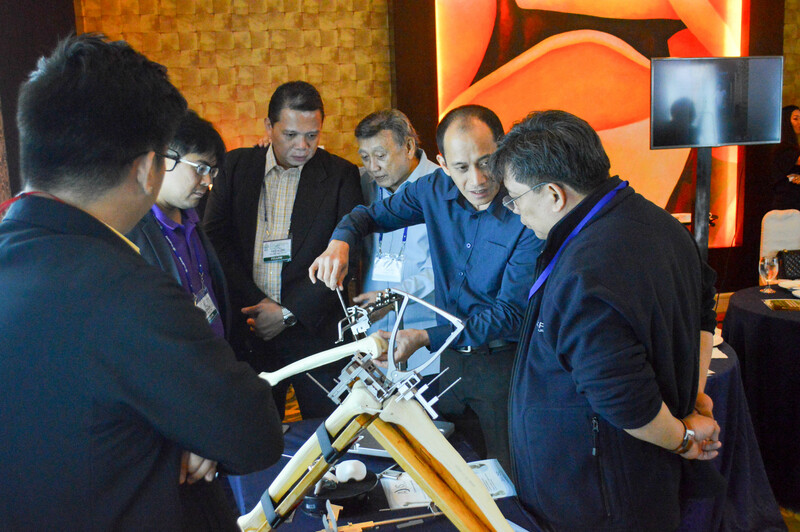 Raffle draws were held last November 18-19 where five orthopaedic surgeons won Apple Ipad Air. 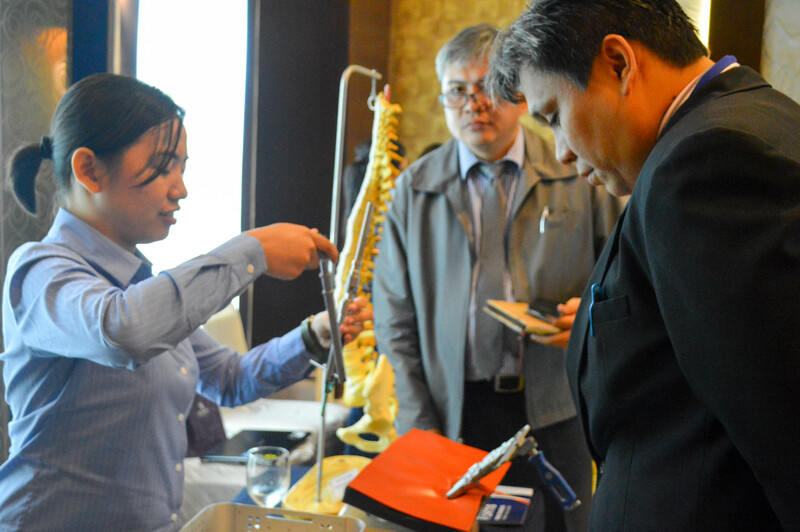 OII also organized a "Lunch Symposium on Total Knee Replacement" last November 19. Dr. Ramon B. Gustilo discussed the 'Axis Knee System' and the ' TJA and Ambulatory Surgery Centers' during the lunch symposium. Some orthopaedic surgeons were also able to present, namely Dr. Ilustre I. Guloy, Dr. Mark Fernandez, and Dr. Gladys Tan. An open forum was also held after all the presentations. OII Research and Development Engineers during the POA Annual Convention.